Exploring the proton; IoT R&D center. It took 23 years to conduct the experiments, but physicists have finally provided detailed results about the proton. The Deutsches Elektronen-Synchrotron (DESY) organization conducted the experiments within its particle accelerator from 1992 to 2007. The experiments took place in DESY’s Hadron Electron Ring Accelerator (HERA), an electron-proton collider. Then, over the last eight years, researchers from various organizations have combined and analyzed this data. Researchers analyzed billions of collisions of protons with electrons or positrons. The proton is a subatomic particle, which consists of three quarks. They are held together by gluons. 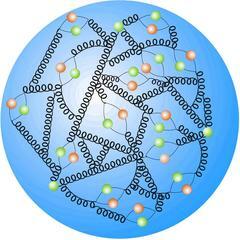 Gluons can produce more gluons or can be split. In the experiments, the HERA was used to look inside the proton using electrons as probes. The 6.3-kilometer long superconducting proton ring accelerated these particles close to the speed of light. Then, they were smashed together with electrons or positrons. The reactions were measured by two multi-purpose detectors, each of them as big as a house. The results confirmed the quantum chromodynamics (QCD) theory. QCD describes the interactions between quarks and gluons. Researchers proved the unification of the electromagnetic and weak forces at large energies. They were also able to identify the two forces, electromagnetic and weak. The electromagnetic force is mediated by the neutral photon. The weak force has a neutral but also two charged carrier particles. They are called the Z and W bosons. At Semicon West, the International Consortium for Advanced Manufacturing Research (ICAMR) will provide the latest details on its plans to build an R&D center in Florida. Located near Orlando, ICAMR will leverage advance semiconductor research to develop next-generation sensors, photonics and other products. The partners in the group include MIST, Novati, the Orlando Economic Development Commission (EDC), UCF and others. The group hopes to provide more than 100,000 square-feet of lab and office space. It plans to develop a class 1000 cleanroom. The operation will be capable of providing several technologies, such as III-Vs, carbon nanotubes, graphene, GaN and SiC.